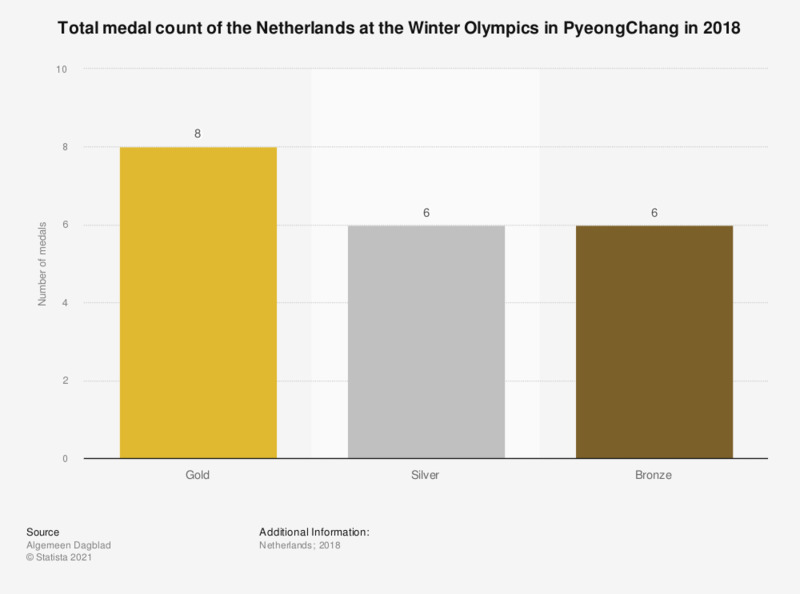 The statistic illustrates the medal count of the Netherlands at the Winter Olympics in PyeongChang in 2018. The total medal count amounted to eight gold, six silver and six bronze medals, which resulted in a fifth position on the medal table behind Norway, Germany, Canada and the United States. All of these medals were won in the category speed skating, including the short-track and the mass start. Four years ago in Sochi, Russia, the Dutch won in total 24 medals of which eight were gold, seven silver and nine bronze medals.